October 25/17: An Indian Air Force (IAF) official has made claims that the service is looking to end involvement with PAK-FA next-generation fighter aircraft program, urging the government to back out of the effort. The aircraft is collaborative effort between Hindustan Aeronautics Limited (HAL) and the Russian air giant, Sukhoi, but also involves work from various Russian design bureaus. The IAF source claimed that the “IAF is not keen to continue with the program,” and cited concerns such as an insufficient reduction in radar cross-section (RCS), especially in comparison to the Lockheed Martin F-35 Lightning II, and difficulties in the Russia’s ability to demonstrate that it can produce the requisite technologies for 5th-generation fighters, such as electronic subsystems. Standing behind the program,however, is HAL, who is confident that the PAK-FA will succeed, arguing that the depth of technology-transfer being offered to India under the PAK-FA is not available elsewhere. Bad luck.... or bad work. Lockheed Martin halted all F-35 deliveries for a month after discovering excessive corrosion on fasteners under an F-35A’s fuselage panels during maintenance at Hill AFB, Utah, the Defense Department confirmed this week. A never ending story that plane. Read the article on usaf.mil. 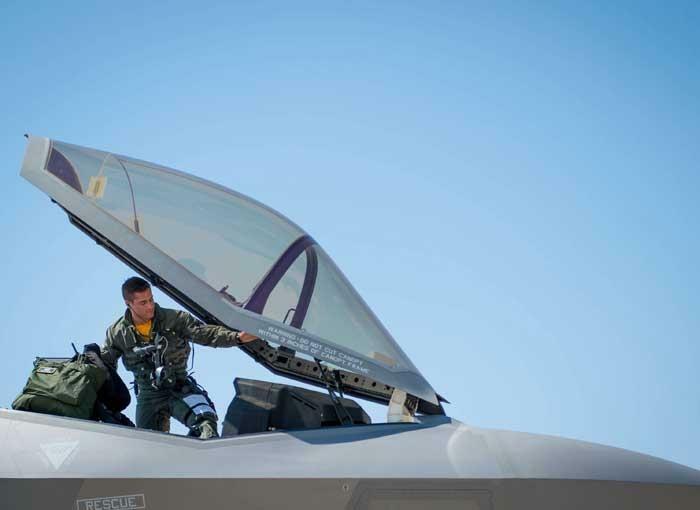 Eglin AFB is one of two bases in Air Education and Training Command responsible for the F-35 training mission. Together, Eglin AFB and Luke AFB, Arizona, enable AETC to provide F-35 flying and maintenance training that are critical to the joint fight. 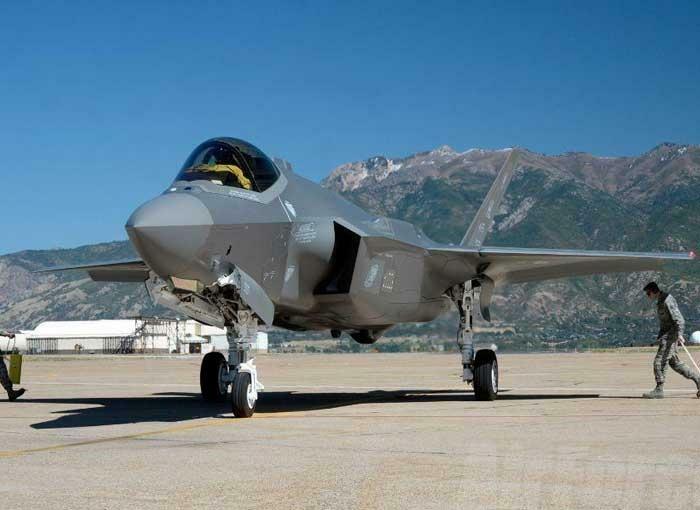 The 4th Fighter Squadron (FS) ‘Fighting Fuujins’ and 4th Aircraft Maintenance Unit (AMU) received a first F-35A at Hill Air Force Base, Utah, last Wednesday, September 27. The latest Lightning II to arrive at Hill was tail number 5133. The aircraft was flown in by Lt Col Yosef Morris, 4th FS commander, before being directed to its parking spot by Staff Sgt Timothy Ericksen, 4th AMU dedicated crew chief for the jet. Currently the 4th AMU has maintenance control over six aircraft from the parent 388th Fighter Wing’s (FW’s) 34th FS, and 4th AMU personnel received training from the 34th AMU. The first operational F-35As arrived at Hill AFB in October 2015. Hill currently has 27 F-35As and will eventually be home to 78 aircraft and three operational squadrons by the end of 2019. The 388th and 419th FWs fly and maintain the aircraft in a Total Force partnership, which combines active-duty and Reserve components. 500 pilots trained on a non operational fighter. Nice !!! norway's f-35s landing in norway. One of the first 200 just able to basic train pilots ? USA forced USSR to collapse with star war initiative. 100 F22s spearheading 500 F35s followed by stealth bombers , 1000 drones and 5000 conventional war planes carrying 75,000 smart bombd should make a dent in any air defense and that's just the first attack..
Belgium, Finland, Germany, Poland, Romania, Spain. next up on the F-35 line.